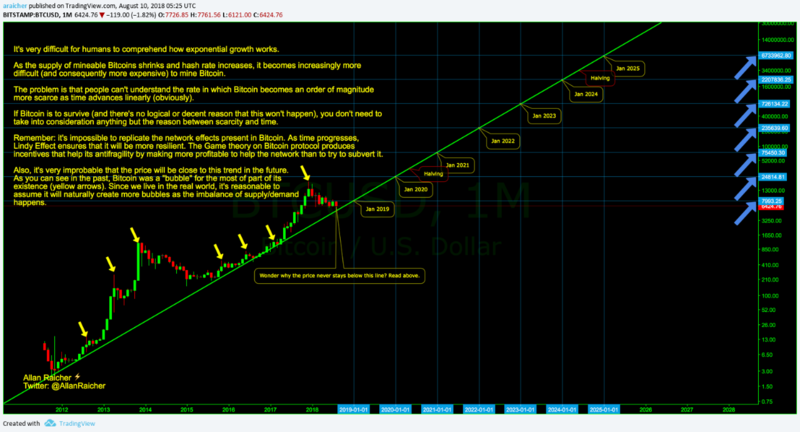 I made a graphical explanation of the #Bitcoin prices above. I hope you can understand how $BTC will eat away all assets value like a black hole. Failing to understand how exponential growth works can be extremely expensive sometimes. Please, excuse me for the broken english.